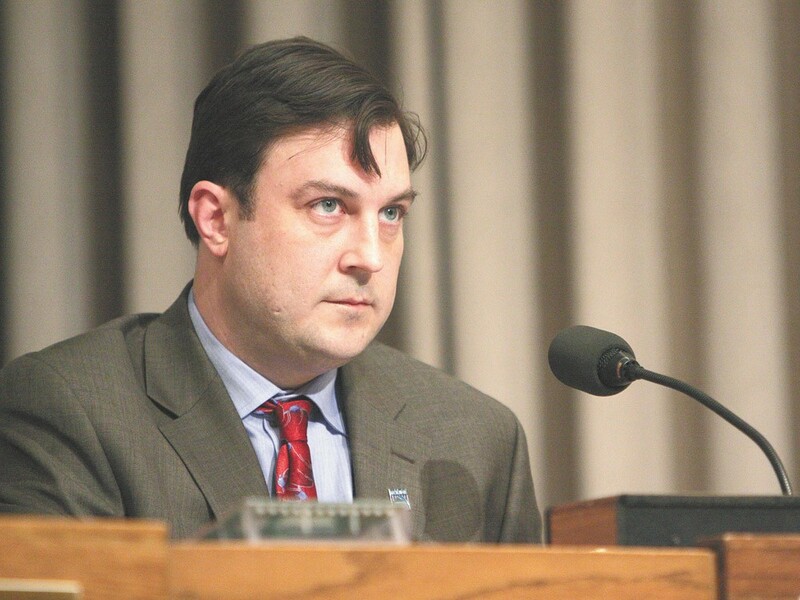 Council President Ben Stuckart questions the mayor’s budget, which cuts 19 police positions. A moment of awkwardness shared last week between the city’s two highest-elected leaders underscores the budget challenges ahead. When Mayor David Condon dropped off his proposed 2013 budget to City Council President Ben Stuckart’s office, the latter asked about the Arts Department. The city’s Arts Department has been on the chopping block; Stuckart says he’s putting together a deal that, with $100,000 in city money, can keep it going. Condon’s proposed budget slashes up to 35 jobs and 65 more vacant positions — including 19 vacant police officer spots and nine relief firefighters. It would pawn off the Weights and Measures Department onto the state. It would spin off the East Central Community Center into a nonprofit. It also forgoes raising property tax by 1 percent, which has become an almost annual ritual. City Spokeswoman Marlene Feist says the property tax has been raised for nine of the last 10 years. Raising it again would generate about $350,000 more in revenue for the General Fund, which pays for police, firefighters and the library system. While Condon maintains that he isn’t cutting active duty police officers, the loss of 19 open positions means the department could dip even lower. That’s because it takes about a year to hire and train a brand-new officer, according to Mitch Barker, executive director of the Washington Association of Sheriffs and Police Chiefs. So if, for example, five officers retire on Jan. 1, the department will be left with five fewer officers than Condon’s proposal. Stuckart objects to the loss of the police positions. Stuckart also questions why the property tax isn’t being raised to offset some of the cuts. He wonders why Condon didn’t factor into the budget payroll increases that will likely take effect when the firefighters’ union contract goes to arbitration. “If we had to wait until every contract was settled, we wouldn’t put out a budget,” Condon says. The budget proposal now goes to the Spokane City Council for debate.